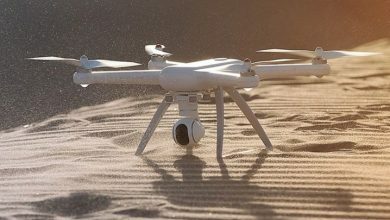 The Chinese company Xiaomi, previously known for high-quality mobile phones, tries to gain a foothold in the drone market with its latest product. Months ago, the Mi Drone (MI UAV) caused quite a stir at the Xiaomi presentation, as did the market leader DJI. Whether Xiaomi hits the drone market as well as in the mobile phone market, has yet to show. 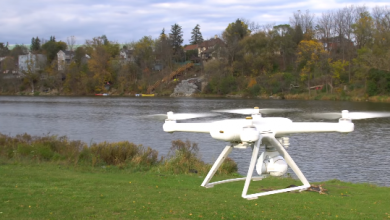 We were fortunate to be able to test this quadrocopter and investigated whether the Mi drone is the low-cost alternative to the DJI. Xiaomi is currently shipping a 1080p version and a 4K camera. We personally like the design of the Mi drone very well. The body is in plain white, only on the front is the Xiaomi Mi logo. 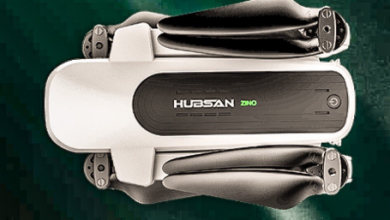 The motors are firmly integrated into the arms, which brings more stability and less vibration. Nevertheless, the motors can be replaced using the usual four screws at the bottom. The LED lights were placed under the arms, the white position lights in the front and the red and green status lights in the back. In addition, ventilation slits were installed, which are to cool the ESC controllers but may also allow moisture to enter the interior. The landing gear can be fixed or folded over two sliders. Here Xiaomi has done a very good job with the Mi drone and thus offers the possibility to pack the Kopter without breaking it up in every normal backpack. This eliminates the costly purchase of a transport case. Hidden underneath a cover flap, at the bottom of the Mi drone, there is the connection and the connector for the 3-axis gimbal with an integrated camera. The camera is available either as a 1080p or as a 4K version. The remote control is very good in the hand both in terms of weight and shape. On the sides a rubber coating was attached. The joysticks are very well stored, have no play and immediately snap back to their original position as soon as they are released. At the top there are two separate antennas for the 2.4GHz signal and for the 5GHz signal to transfer the image to the smartphone. The mobile phone itself is connected via USB cable to the bottom of the remote control. There is also the micro-USB port for charging the remote control. The battery of the remote control is thus firmly installed. Overall, the remote control makes a very robust and high-quality impression. Naturally, photography was also considered, and two buttons were attached to the back of the remote control for shooting and filming. So the pilot does not have to keep his hands off the sticks and can continue to control the drone. In addition, two adjusting wheels can be found on the remote control, via which one can adjust the camera tilt on one side and the brightness of the LED on the other side. This is to prevent any glare of the camera at night. What at first glance looks more like a bauble proves useful in practice. If you want to fly in the dark, you can turn up the brightness of the headlights fully, but if you want to film in flight, you dim the LED lights and can take pictures without glare. The big hurdle before starting the Mi drone is the app. 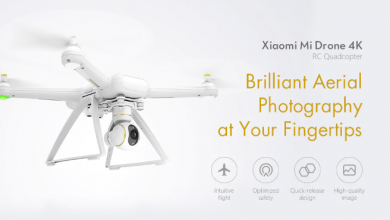 Only those who have the correct English version and in addition the language of the mobile phone also in English manages to activate a Xiaomi account and to connect the drone with the remote control. However, once this has been mastered, it is a breeze to blow up the quadrocopter. If you press the start button, the copter rises to a height of 4 meters and remains there until further commands come from the remote control. 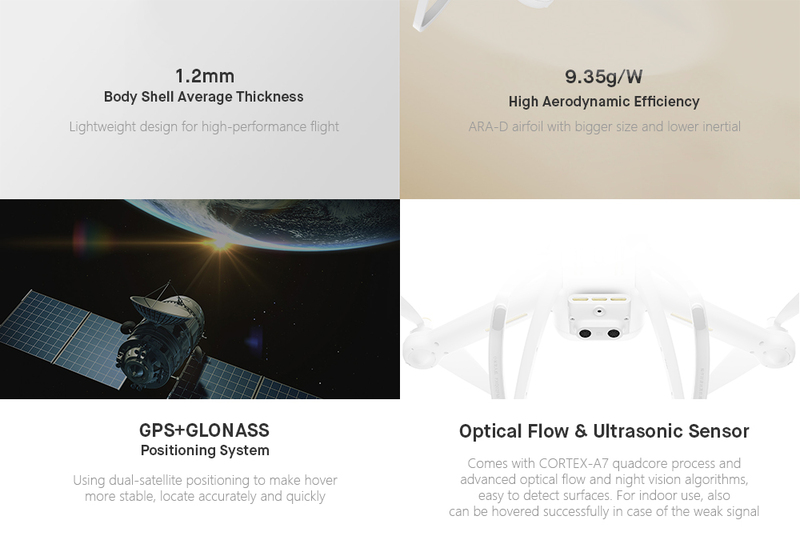 Xiaomi has also tried to make its Mi drone attractive for beginners, so it has programmed a beginner mode that forces pilots to operate at slow speed (22km / h) and restricted radius (50m / 150m). To unlock the pro mode, you need 300 minutes of flying experience. This is about 12 battery charges, which seems a lot, but makes sense, because the copter turns into an extremely fast vehicle in professional mode. The 17,4V 5100 mAh battery promises the Mi drone a flight time of up to 30 minutes. In the test, we made it to 27 minutes including the camera. Like DJI, Xiaomi has designed a Smart Battery here, which is tailor-made for the Mi drone with its plug-in system. It keeps the load extremely well even during prolonged storage and displays the charge status by pressing a button and four LEDs. In addition, sensors installed in the battery transmit information such as battery temperature, number of charges and remaining flight time to the smartphone app.